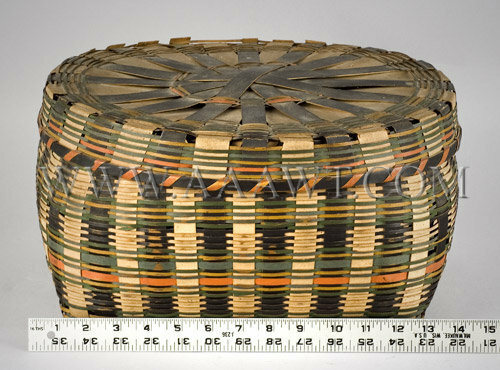 As depicted, oval on rectangular base with fitted lid. 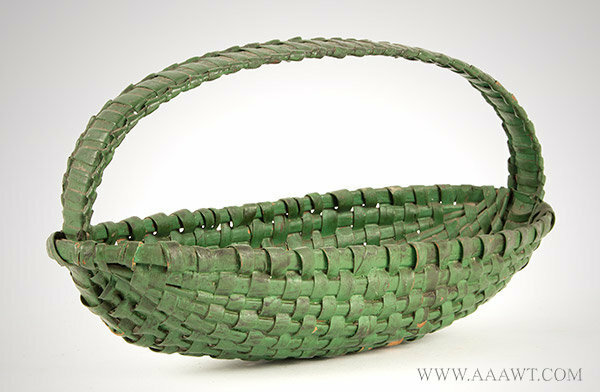 Dimensions: 6.25-inches high at handle, 7.5-inches wide, 6.75-inches deep. 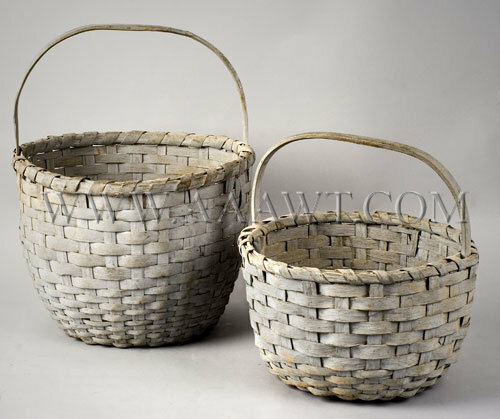 As depicted, in very good condition, with carved handles and in a soft gray-blue paint with dry patina. 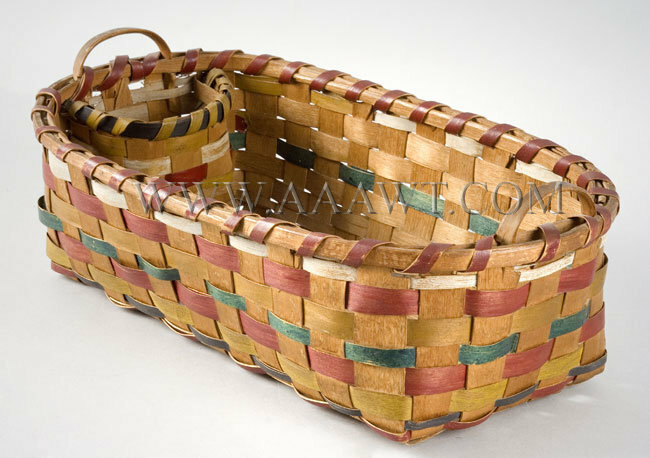 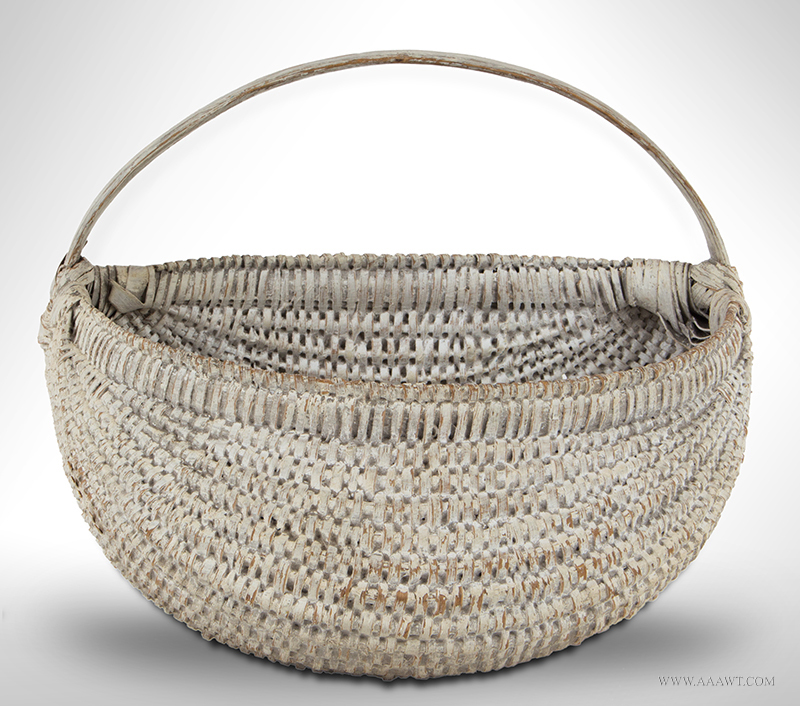 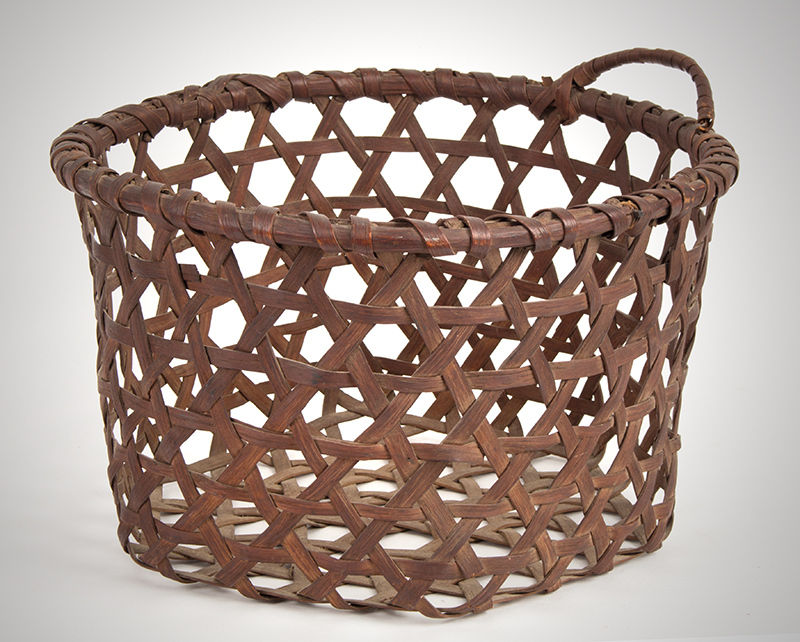 Dimensions: 16.5-inch height to larger basket's handle, 11.75-inch height to smaller basket's handle. 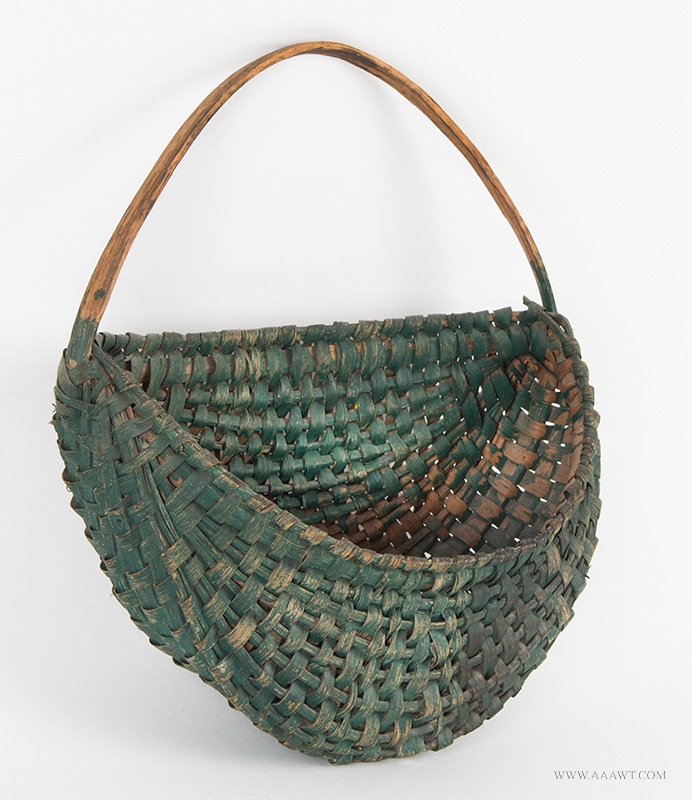 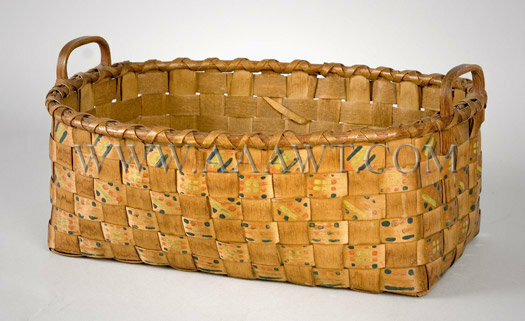 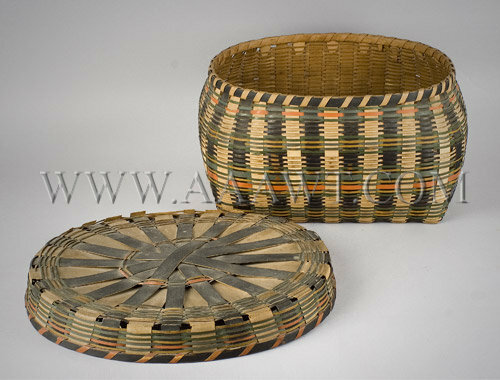 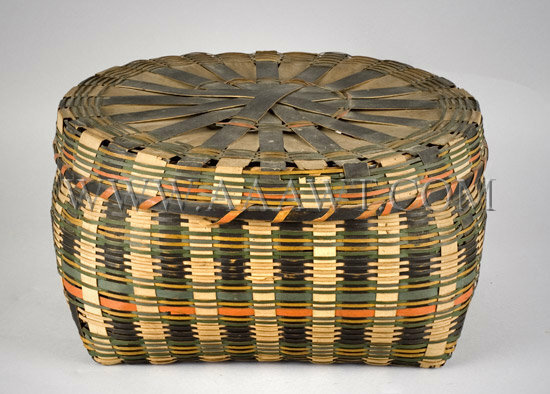 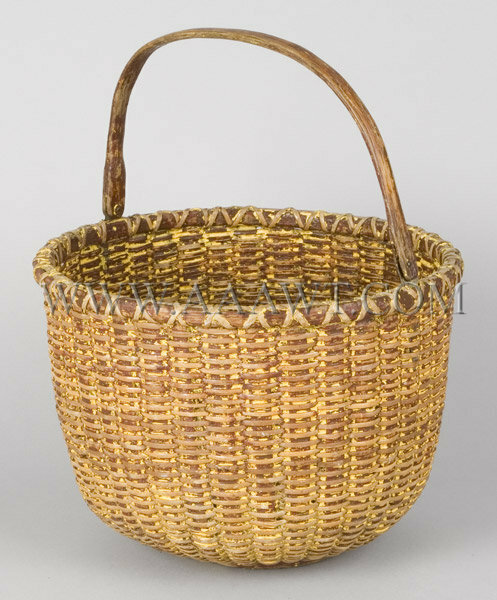 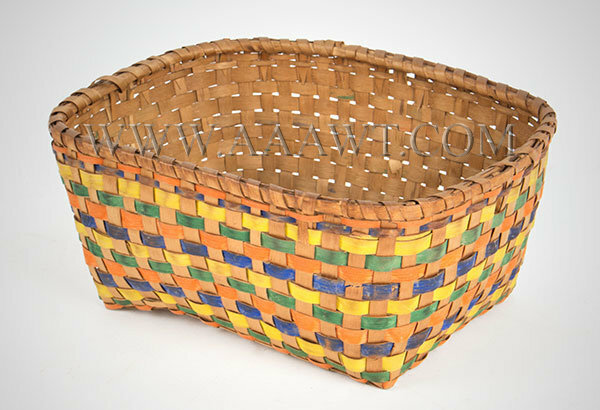 Basket retains traces of yellow paint, overall condition very good. 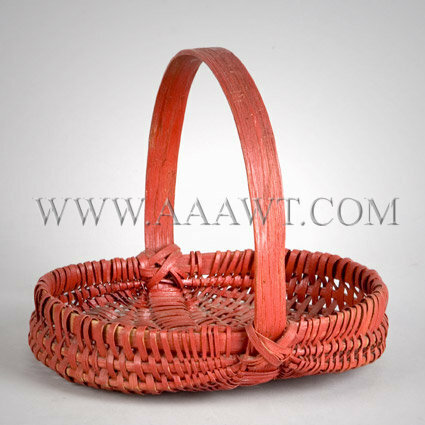 Dimensions: 13.5-inch height to handle, 8-inch height to rim, 10.5-inch diameter.